Meet the mask for your lips. Rich and nourishing, Agave Lip Mask envelops lips with agave nectar, jojoba oil and lanolin, creating a protective barrier. At night, bring new meaning to beauty sleep by applying a layer of Agave Lip Mask before bedtime, and wake to soft lips that feel like new. During the day, indulge in sheer tinted shades to soothe and deeply hydrate your lips, with a pretty hint of colour and shine. 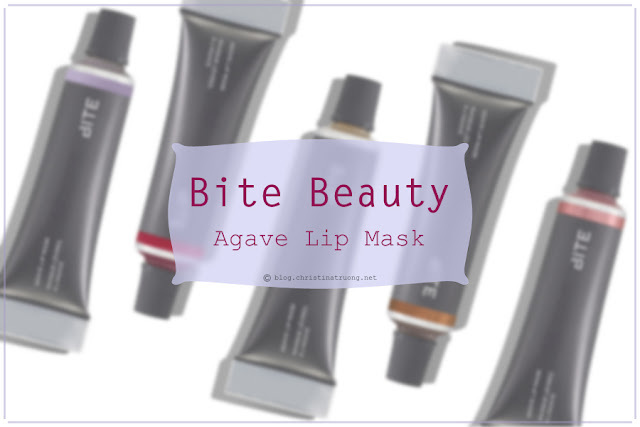 Like all Bite Beauty products, Agave Lip Mask is handmade with natural and organic ingredients in the Bite facility in Toronto. With regular use, succulent lips are yours, making it easy to make this mask a regular in your everyday lip routine. I already mentioned how much I love the Bite Beauty Agave Lip Balm in a previous post, the Agave Lip Mask provides the same soft, smooth lips but with a glossy balm finish. The product comes out as thick but once applied it has a bit of a balm texture that isn't sticky - similar to the Agave Lip Balm. The Agave Lip Mask kept my lips moisturized, hydrated, and smooth throughout the day. The shade Smashed has a sheer red tint and a bit of a sweet flavouring but it isn't detectable unless you're licking your lips. This product is buildable - if you want little to no colour on the lips with Smashed then just apply a tiny amount. If you want the sheer red to really come through then simply add a bit more. Regardless of how little or much product is applied, it will still provide lips nourishing. What are your thoughts on BITE Beauty Agave Lip Mask? 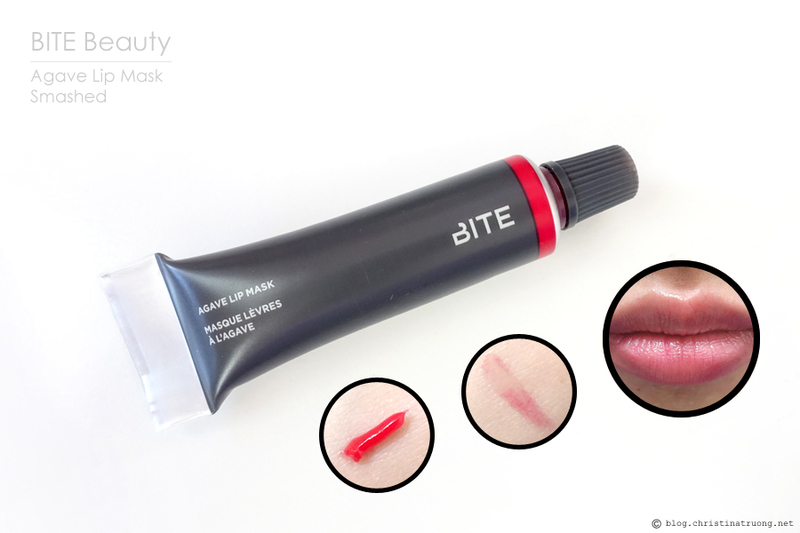 Have you tried any products by BITE Beauty? Do you have a favourite lip care product?